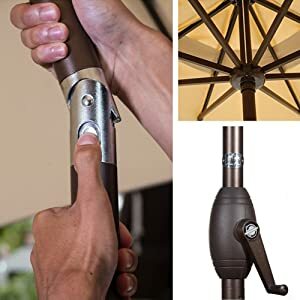 11 feet - Shade your 60" round, square or rectangle table with 6 to 8 chairs. Ideal for both residential and commercial locations. 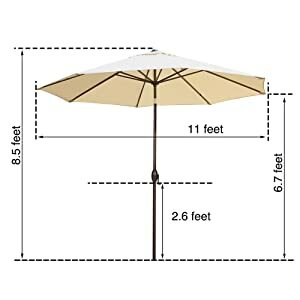 The 11 ft umbrella provides a large shade area for your patio space. 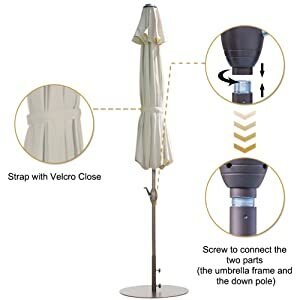 The push-button tilt adds longevity to your umbrella by separating the tilt feature from the handy open/close crank feature.